Masala nachos are Indian version of nachos. 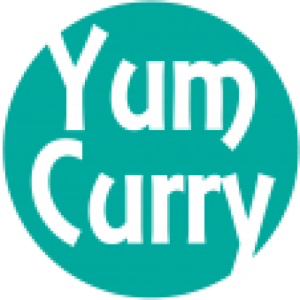 It is prepared with wheat flour and some Indian spices, cut into the nachos shape and fried in Oil. It tastes delicious and very crispy. Masala nachos are great tea time snacks. I love to have them with ketchup or with cream cheese dip. 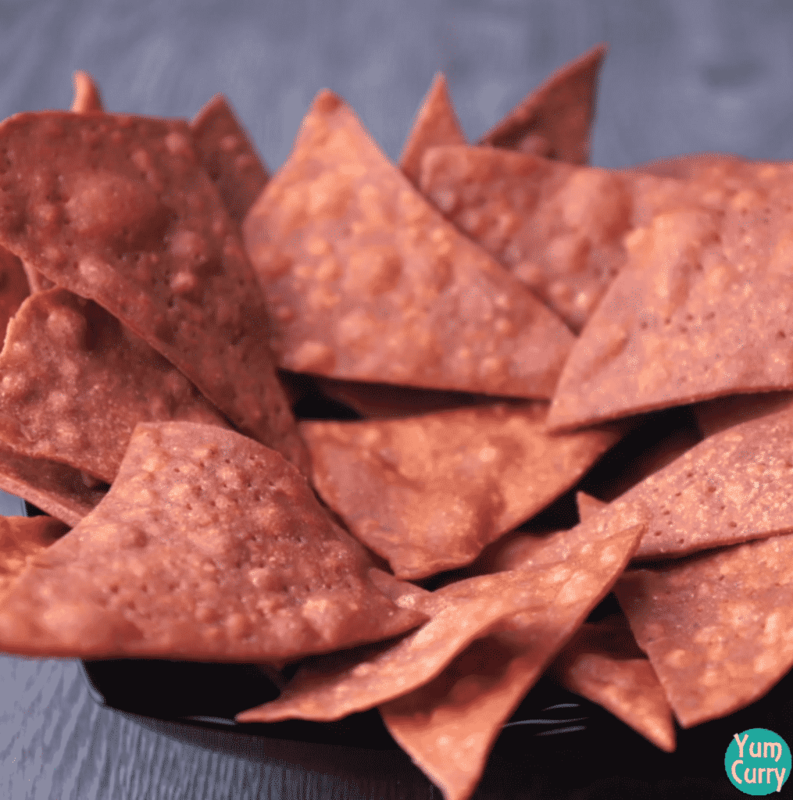 Today I am sharing recipe of home made delicious and crispy nachos, follow my simple recipe to make one for your kids and family. Nachos are invented in Mexico and popular all over the word. Traditional nachos prepared with fried corn tortillas covered with melted cheese and sliced jalapeño peppers. Over the time there are lots of variation invented, according to the culture and food preferences of the people. In India Nacho are gaining popularity and they are served in lots of restaurants, food chains and cafe. I had my first nacho in movie theatre and absolutely loved them. There are lots of restaurant served delicious varieties of nachos. I have tried many variations and my favourite one is grande chicken nachos. This freshly made nachos platter has crispy corn tortilla topped with shredded grilled chicken, black beans, cheese, sauce, sour cream and jalapeño. This Mexican cuisine famous all over the world, because the recipe travel all over the world there are lots of variation invented with food preference of people around the world. Generally loaded nachos consist of tortilla chips and varieties of topping. Nachos are available with veg and non veg topping. Loaded nachos commonly topped with onion, olives, beans, meat, jalapeño, pickles, sour cream, sauces, salsa, cheese etc. Some of famous variation which I have tried , barbecue nachos, they are served with barbecue sauce. Cheese nachos served with varieties of cheese and poutine nachos served with gravy. You can make your own version by adding your favourite toppings on nachos bowl. Masala nachos commonly served as snacks. I love to have them in evening as a tea time snacks. 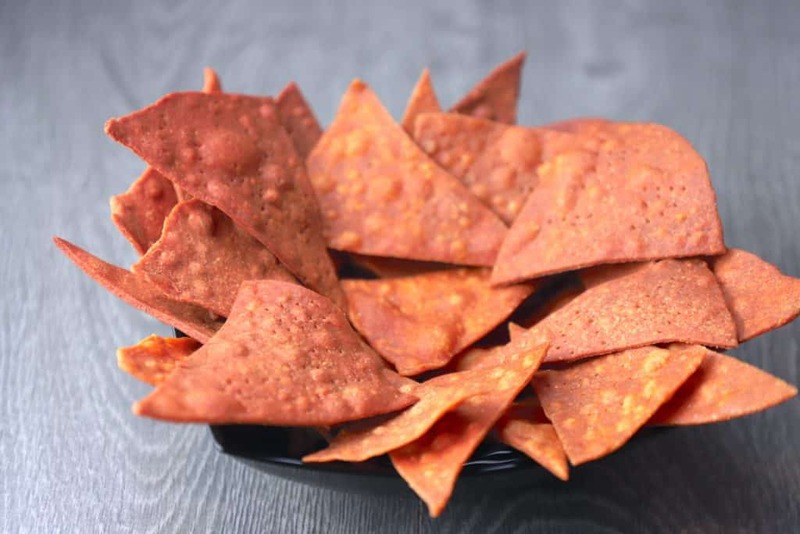 They are also available in packets and great as munching snacks, baked version of nachos also gaining popularity because of its less oil content. Nachos platter can have as main course dish, it is huge nachos tray loaded with lots of good tuff like with veggie, meat and topping. Masala nachos as they are fried item and prepared with wheat flour you can store them up to 10-15 days into an airtight container. Masala nachos are quick recipe can be prepare under 20 minutes. Main ingredient used in making of masala nachos are wheat flour, coriander powder, red chilli powder, chaat masala and salt. For making masala nachos first step is to knead a perfect dough to get crispy and delicious nachos. we are looking soft dough for making them crispy. In a mixing bowl add wheat flour and spices. I am also adding little bit oil, it will give perfect texture to nachos. Add water and knead a soft dough. Cover the dough and let it sit for 10 minutes. When dough turn soft, take small portion and roll it thin. If it is difficult to roll apply some oil on the rolling pin. 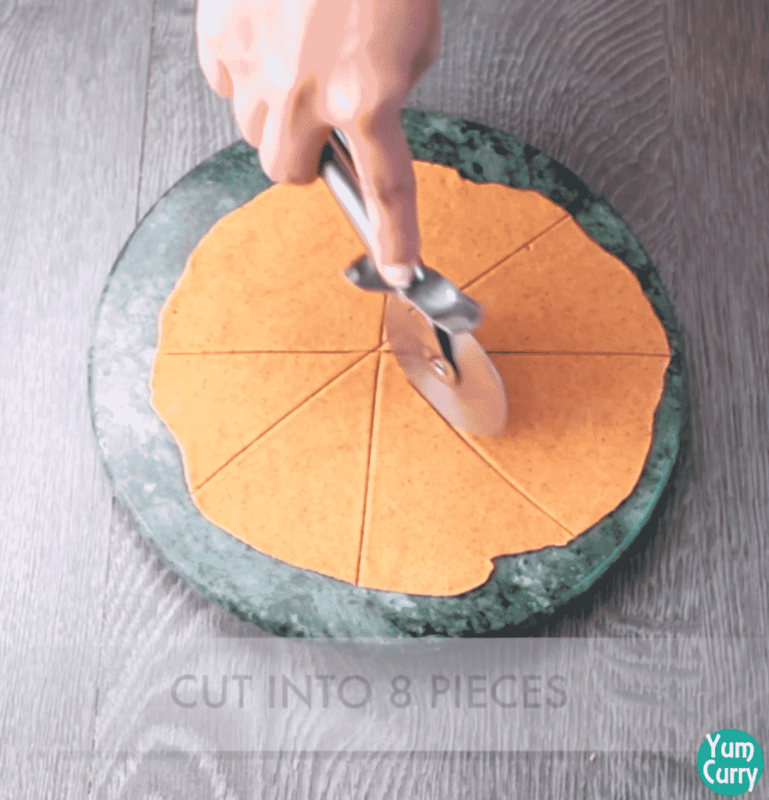 When you have thin circle start cutting it, into 8 pieces ( move pizza cutter vertical then horizontal later diagonally). Prick it all over by using fork it prevent forming any bubble in nacho while frying. Another important step fry them into the right temperature. Oil should be moderately hot. 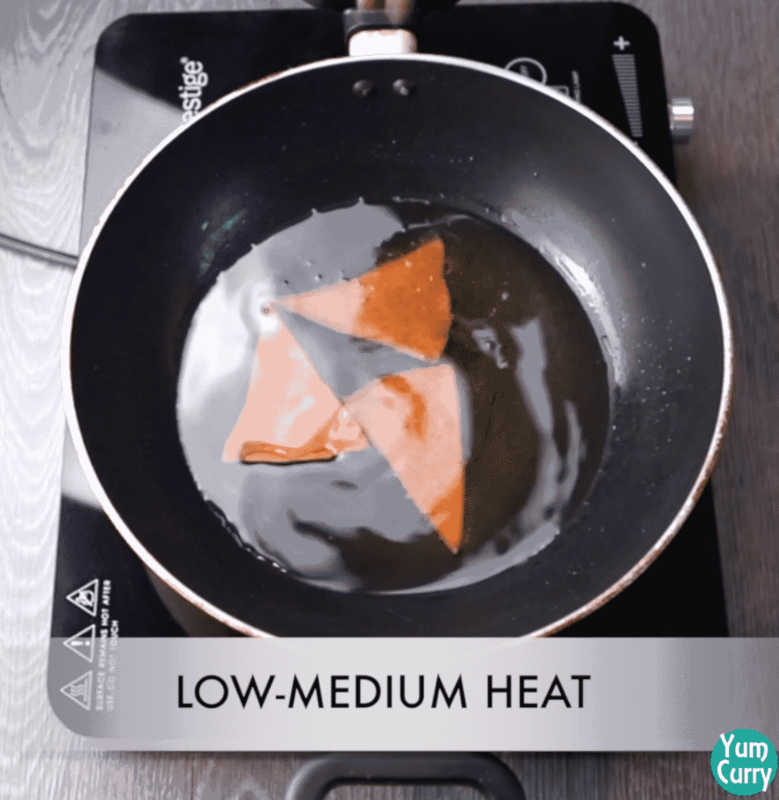 To check the temperature drop small piece of dough into the oil, if it slowly come on the surface means oil is good for frying. Fry nachos on low-medium heat until turn golden brown. 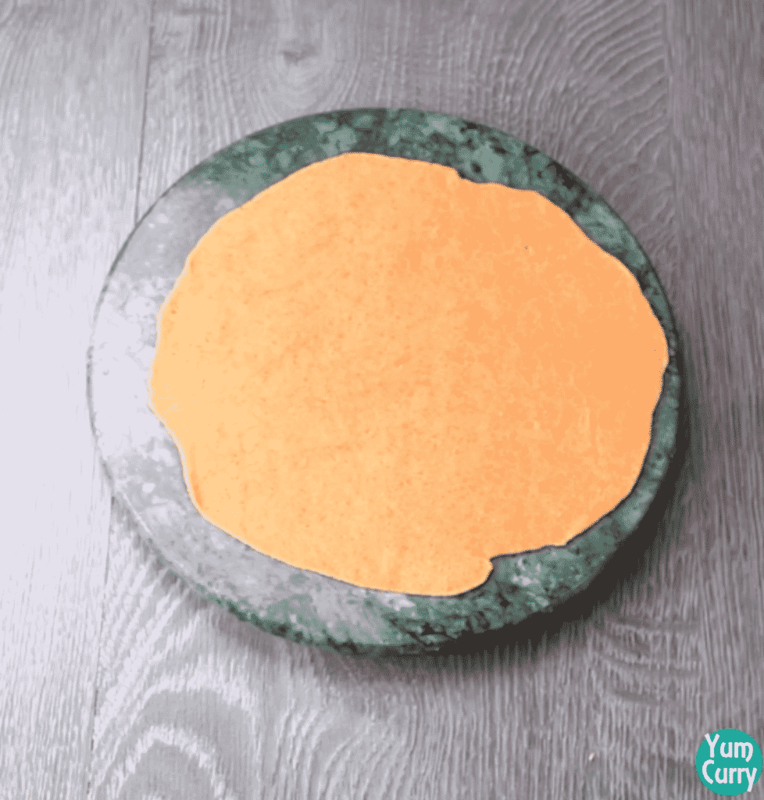 Take them out on paper towel to soak any excess oil, serve nachos with ketchup or any dip. You can store them in air tight container. Dough should be soft. If it is difficult to roll use oil instead of flour. Fry nachos on low-medium heat, as they are very thin and high heat can burn them easily. You can topped them with veggie like onion, tomato or with sauce. For more healthier version you can bake nachos at 200 degree celsius for 15 minutes. Checkout more snacks recipe from my kitchen, click on the link to get detailed recipe. Masala nachos are super delicious and crispy snacks. Nachos are the great tea time snacks. I am giving some twist to traditional mexican nachos and preparing desi version with wheat flour and some indian spices. In a mixing bowl add wheat flour. Add spices salt, coriander powder, chaat masala and red chilli powder. Add oil and mix all ingredient well. Add little water at a time and knead a soft dough. Cover and leave it for 10 minutes. 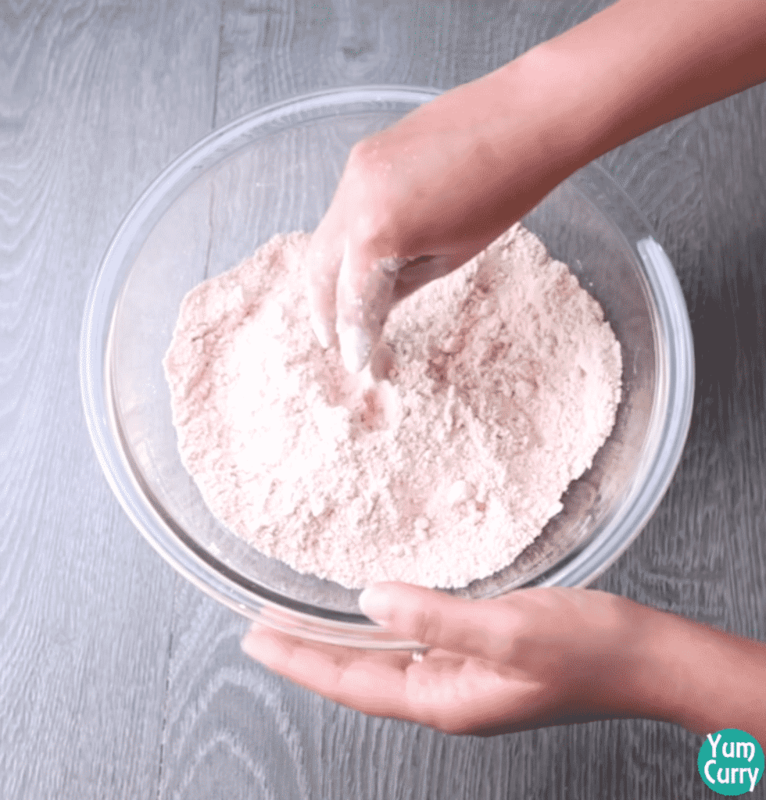 Divide kneaded dough to equal parts, take one part and start rolling it. If needed use little oil to roll it. Roll it into a thin circle. By using pizza cutter or sharp knife cut rolled dough into 8 equal pieces as shown in picture(nachos shape). By using fork prick it all over, it will prevent to form any air bubble while frying. Heat oil in pan, slid nachos into the oil and fry it on low-medium heat. Continuously stir and rotate nachos, so they can cook evenly from all the sides. 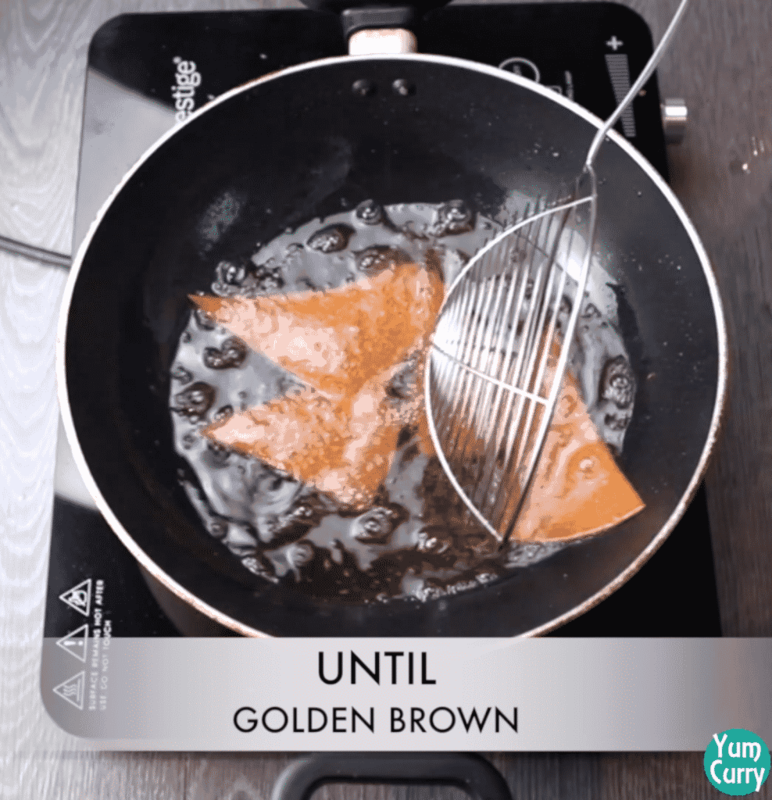 When turn golden brown remove from oil. 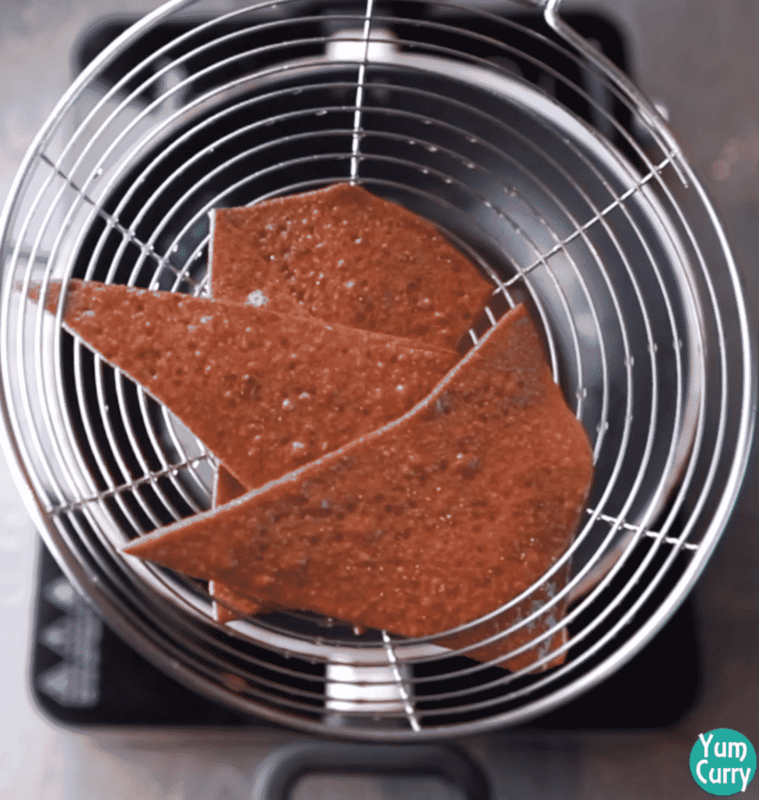 Place nachos on paper towel to soak excess oil. Nachos are ready. Serve with ketchup or any dip. Take small portion, roll between your palm and gently flatten it. If needed use little oil for rolling, roll it thin into a big circle. 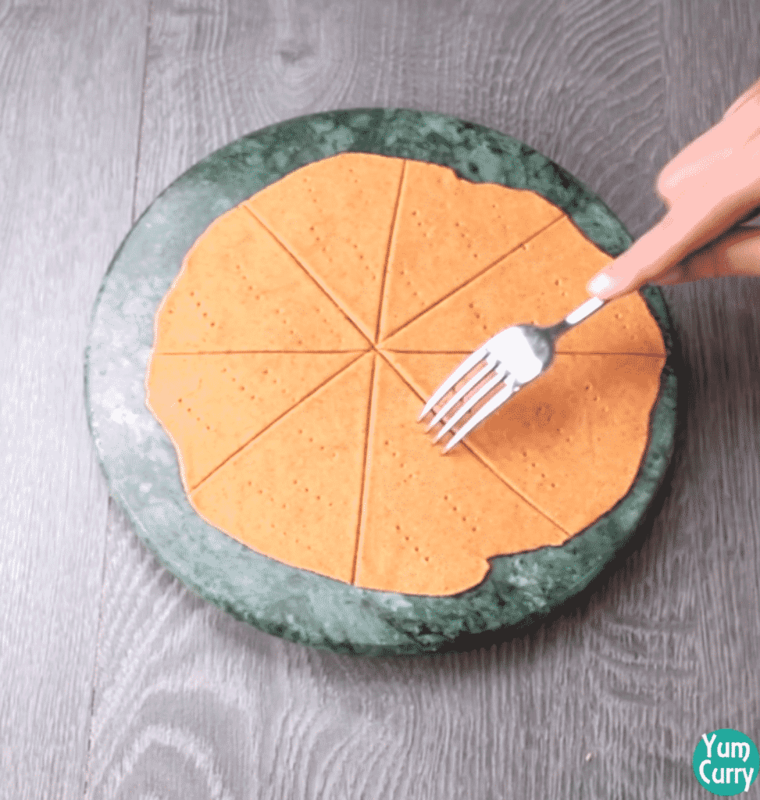 By using pizza cutter or sharp knife cut rolled dough into 8 pieces as shown in picture (nachos shape). Heat oil in pan, gently pickup sliced nachos and slid into the oil. Fry it on low-medium heat. When they turn golden brown remove from oil. Shake off excess oil.